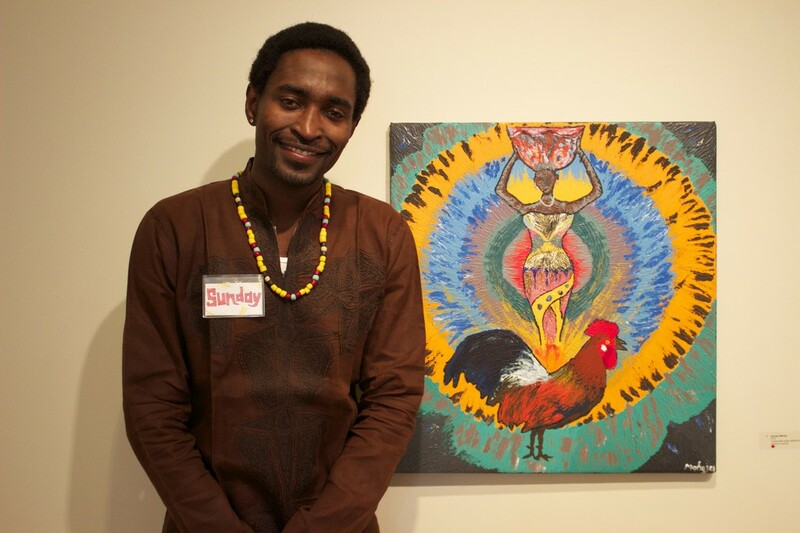 Last Saturday the International Student Club (ISC) presented their annual International Coffeehouse dinner and show. 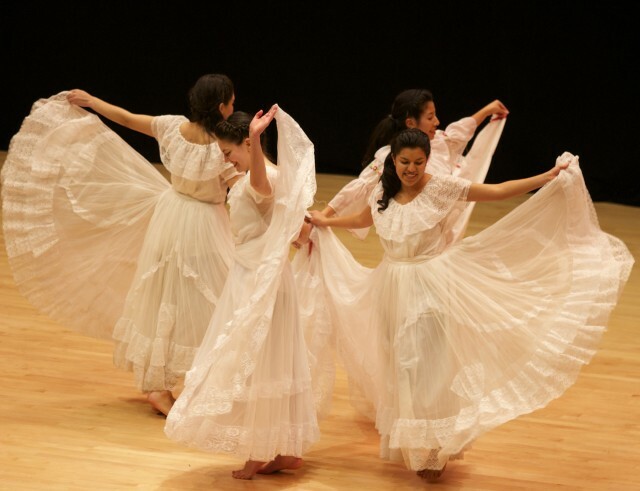 Students catered a meal in the Church-Chapel, which was followed by a show in Sauder Concert Hall that featured performances by students from more than 30 different countries. About 680 people were in the audience in Sauder, including the 145 ISC participants, which included 42 performers plus the 40 members of the Women’s World Choir, 13 cleaners, 33 cooks, 11 ushers and publicity workers, and a couple of MCs. Around 400 people attended the dinner in the Church-Chapel. 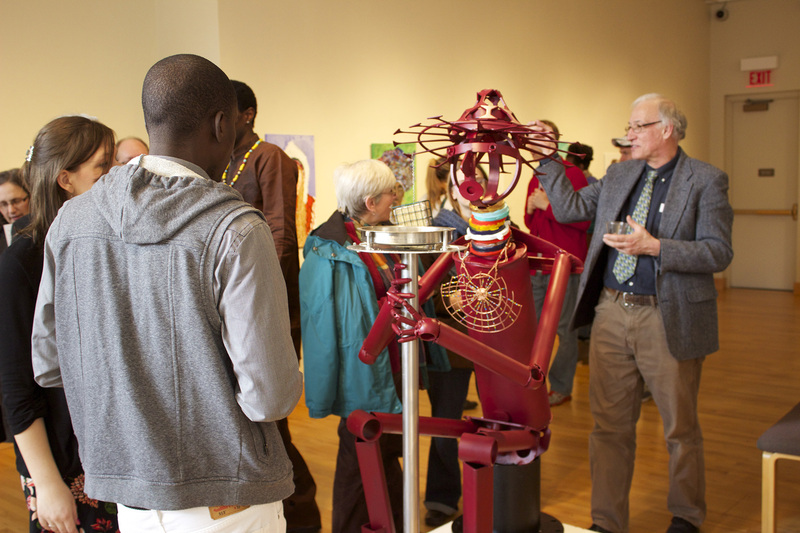 According to Barnett the ISC hopes to give $500 of the money raised through the event to the Faith Victory Association of Rwanda, which helps genocide orphans and others in need. 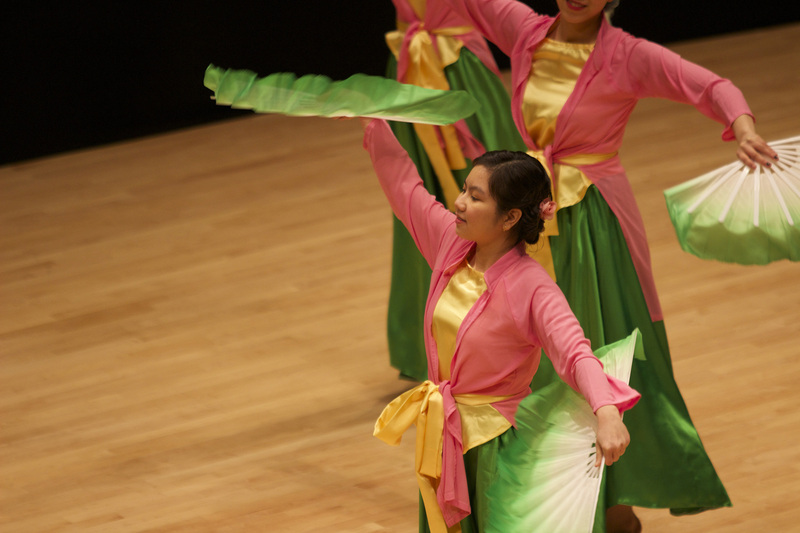 Chau Bui performs a Vietnamese dance using fans. 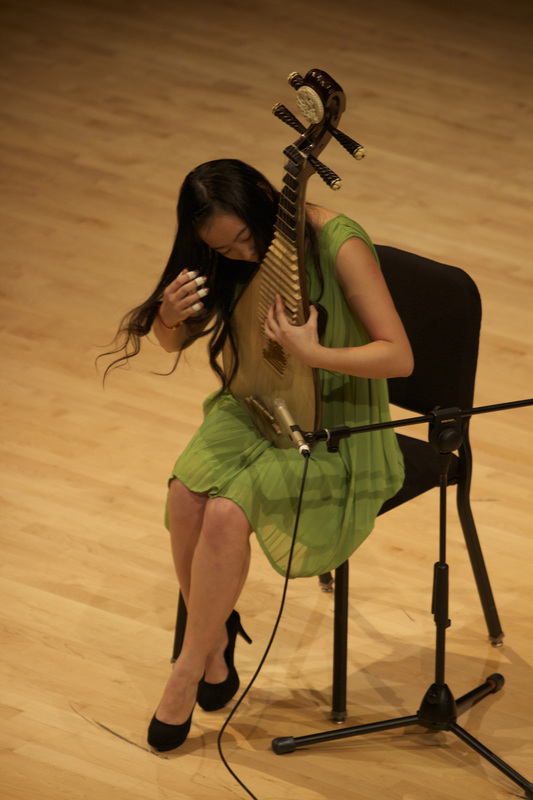 Tiantian Chen plays a traditional Chinese instrument. 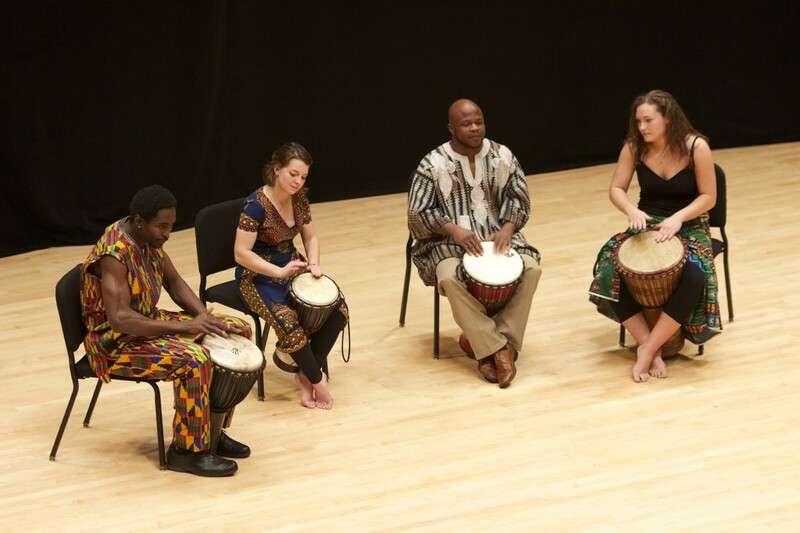 Sunday Mahaja, Maddie Ruth, Adama Millogo and Melanie Drinkwater perform African drumming. 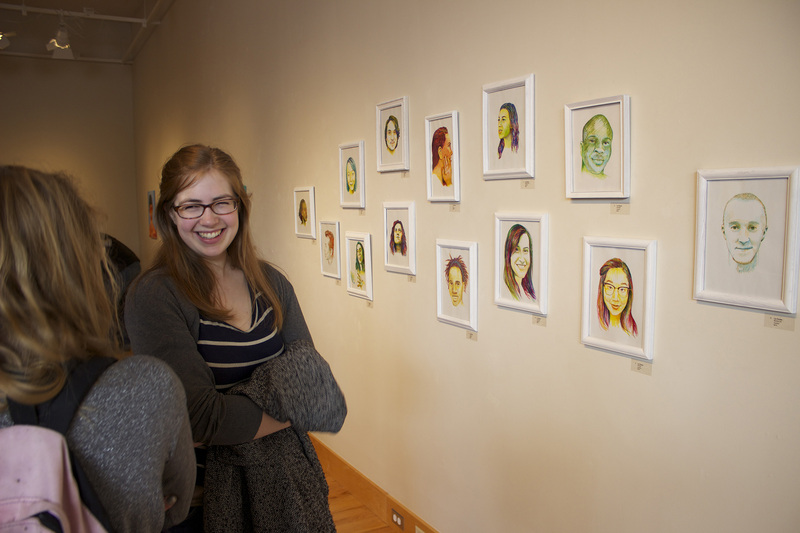 Kate Yoder, a junior, stands in front of portraits by Liz Reese.